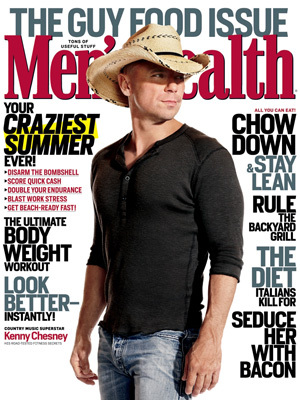 Our client Kenny Chesney is on the cover of Men's Health this month wearing a shirt we bought him. Cannot take credit whatsoever for the body underneath it, but at least somewhat in helping show it off. :-) You're welcome, ladies. Where did you find this shirt? I really like it. Can't be totally sure, but I think it is from All Saints. Thanks! Glad you like it!